You know what we’d like to see on Women's Day? A little more (or a lot more) of participation from men. For far too long we have believed that a kitchen belonged only to our mothers, sisters or spouses. No more! Let this Women's Day be the dawn of understanding! 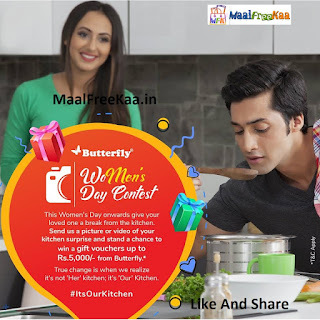 Let us share the responsibility, let us share the joy of cooking, let us share the kitchen Surprise the women of your home with a special gesture in the kitchen. Go all out or play humble, cook her a feast or help her cut the veggies; make her that perfect round roti or help her clean up! Show her it's your kitchen too. Make cooking fun again and inbox us the picture or video of your kitchen skills'. The top 5 posts with the most likes and shares will receive gift vouchers from Butterfly. 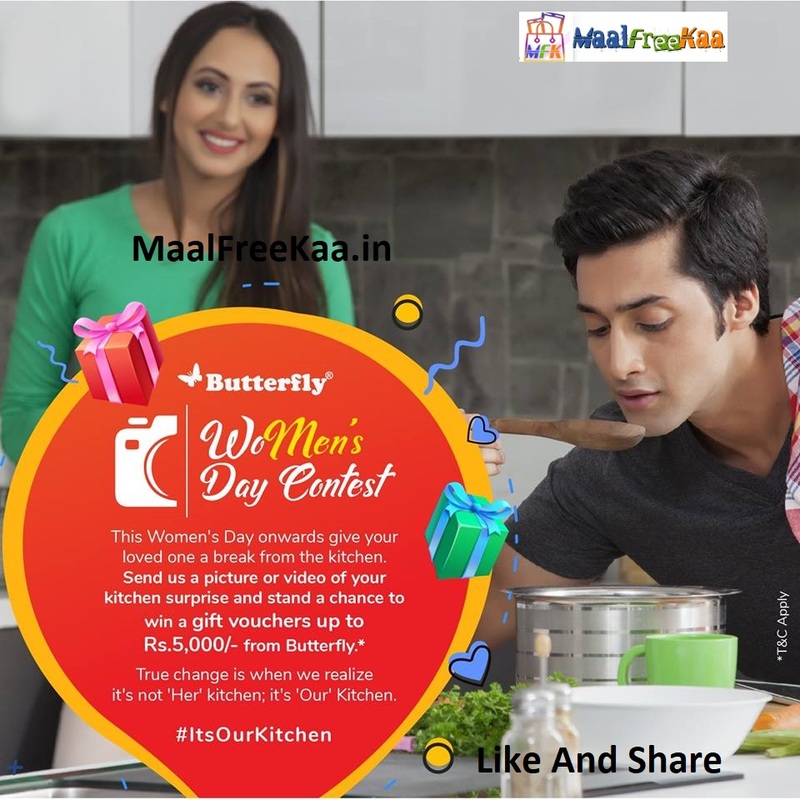 This Women's Day onwards give you loved one a break from the kitchen send us a picture or video of your kitchen surprise and stand a chance to win gift vouchers worth Rs 5000 From Butterfly Kitchen Appliances. True change is when we realize it's not here kitchen, It's our Kitchen.